We're really happy to be able to post a tape that wasn't released in 2015. Thanks to Eddie from Melodiya for sliding this our way... and breaking the perpetual onslaught of new tapes that we've been posting. 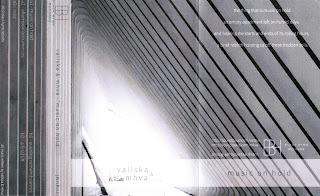 This tape is a collaboration of ambient, atmospheric sounds between Calgary's Valiska (Krzysztof Sujata) and Norwegian MHVA, on UK label Black Hymn Records. 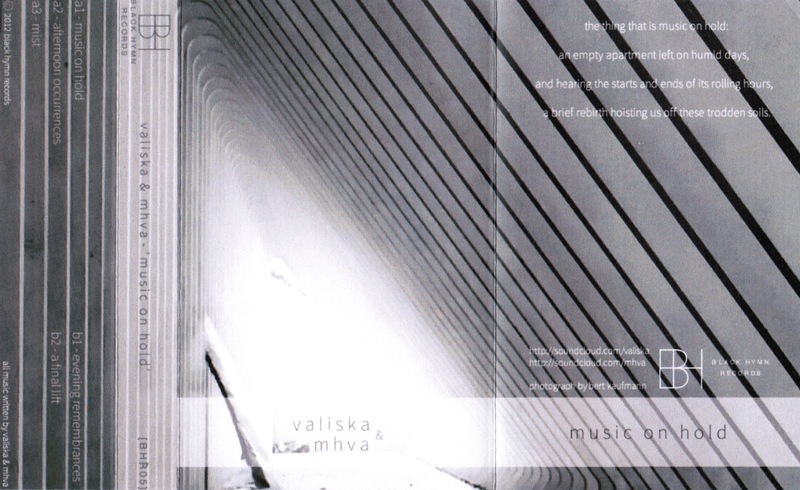 This is the type of tape that we feel pretty unsure about describing - we just don't have the vocabulary beyond describing the ambient drones and echoing piano chords that make this an enjoyable, immersive listen. The tape is sold out (duh, it's three years old), but you can get it from the Black Hymn bandcamp.